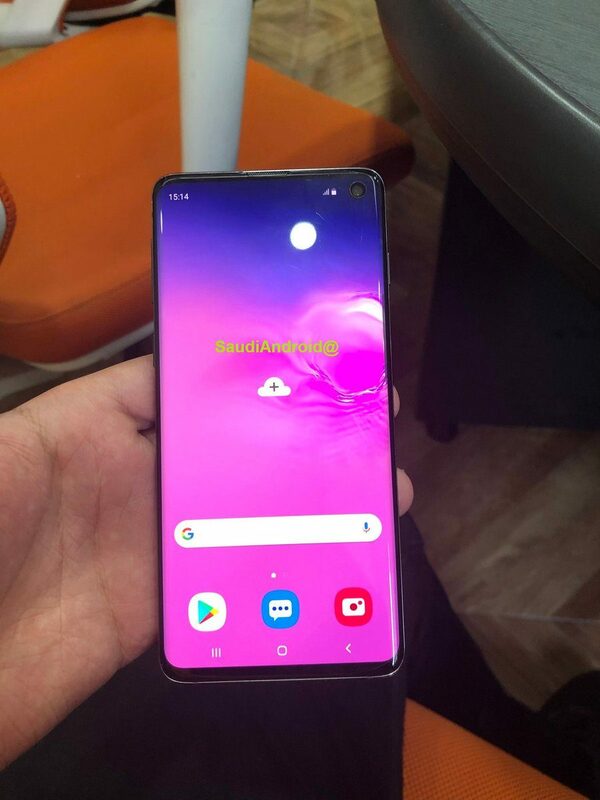 The leaks keep coming as today more hands-on images of the upcoming Samsung Galaxy S10 and S10+ leak online. 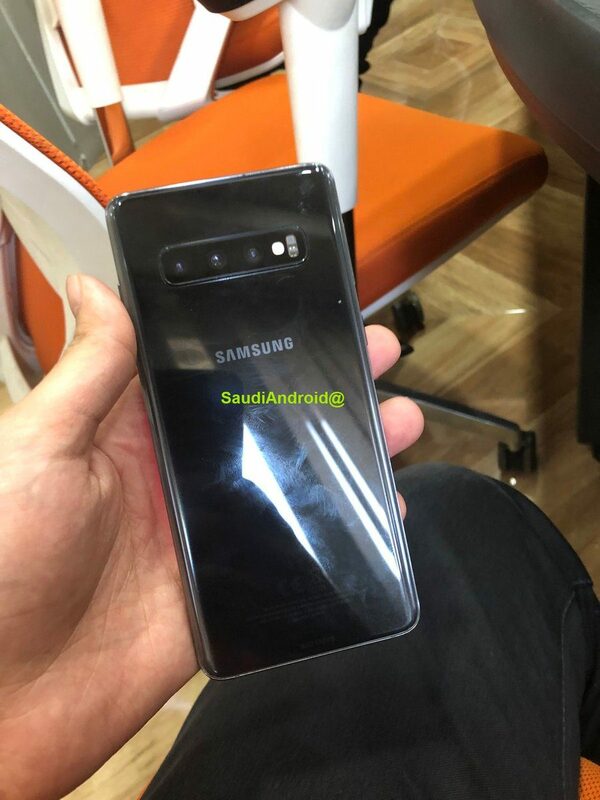 The images posted by SaudiAndroid on Twitter show off some features that have been rumoured on the upcoming device along with some new ones. The first thing that's been confirmed it the general design, and the camera hole punch on the front and triple cameras on the back. 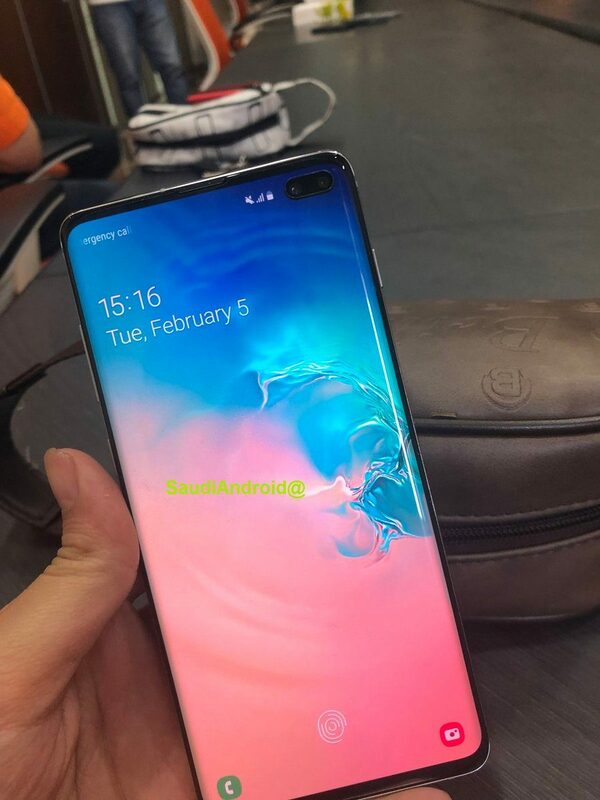 This is one of the first times were seeing what the camera hole-punch design will look like on the front of the devices, along with how the OS will handle the cameras cutting off part of the display. Overall the cameras appear only to affect the notification area of the display, and most information merely is pushed to the left to land right beside the camera cutout. Another feature that's been rumoured but we haven't seen any image leaks supporting is the in display fingerprint scanner. In one of the photos, you can see the lock screen with a fingerprint icon at the bottom of the display, referencing that the user should place their finger there to unlock the device. One last exciting leak to come out with the new phones shows that the upcoming Galaxy Buds, Samsungs wireless earphones, will be able to charge wirelessly when placed on the back of the phone. This is a rather interesting new feature allowing you to recharge your dead headphones using the battery power of your phone without having to find a plugin nearby. Samsung is expected to announce these new devices and possibly a few others at their upcoming Unpacked event happening on February 20th. One Year Later A Look Back At The First Falcon Heavy Launch & Where Is Starman?